Remarks: The Louisiana Vital Records Registry only maintains marriage records for marriage licenses that were purchased in Orleans Parish. 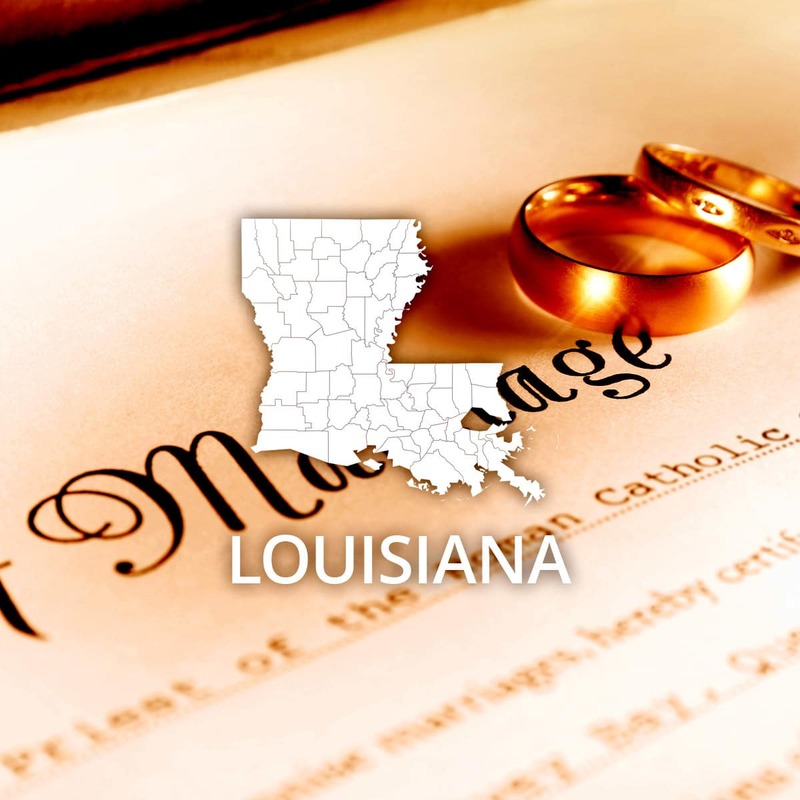 If a marriage license was purchased in a different parish, the marriage records can be obtained by the Clerk of Court in that parish. Orleans Parish Marriage records are maintained for 50 years. Marriage records older than 50 years are retained at the Louisiana State Archives (PO Box 94125, Baton Rouge, LA 70804). For more information on who may obtain a death records, how to submit a request, special requirements, and additional information regarding death records, please visit the Louisiana Center of State Registrar and Vital Records Website. Event: Marriage, Other Parishes Cost of copy: Varies Address: See remarks Remarks: Certified copies are issued by Clerk of Court in the parish where the license was issued.